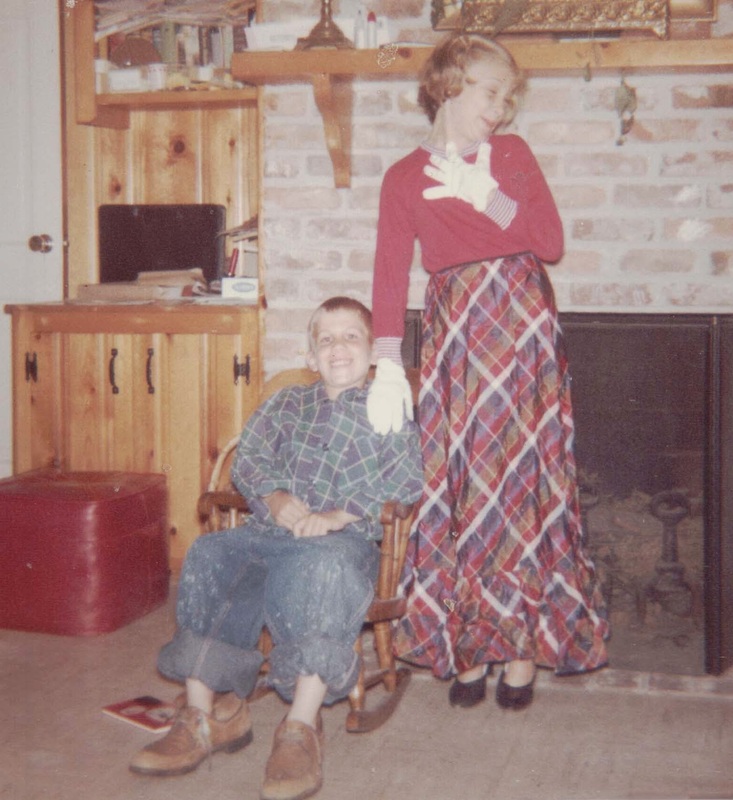 One of my favorite things to do as a kid was dress up in my mother's clothes. I especially liked wearing her high heels even though they were way too big for me. I liked the sound they made when I stomped around the house in them. I felt so grown up! I couldn't wait to grow up. It's funny, though. When you're a kid, you can't wait to be an adult, but when you're an adult, you long for the days when you were a kid. We used to play dress up all the time, the 5 grandchildren of Lawson Pendleton. My mother put together a box full of discarded clothing for our pleasure. Many days we would stay in character for hours pretending the adults were stupid giants or that we were orphans abandoned by our true parents.